Washington gathered to say goodbye to Senator John McCain on Saturday, with several notables attending his memorial service at the National Cathedral. The big picture: This is a rare moment in the nation's capital when people from all political ideologies join together, paying their respects to a giant of the Senate. The latest: Presidents George W. Bush and Barack Obama delivered eulogies. Bush: "Back in the day, he could frustrate me, and I know he’d say the same thing about me. But he also made me better." McCain's daughter Meghan spoke at the service, saying: "I am here before you today saying the words I have never wanted to say, giving the speech I have never wanted to give, feeling loss I have never wanted to feel. My father is gone." At the National Cathedral, McCain's casket arrived after the public spent the day paying their respects at the Capitol Rotunda on Friday. A number of foreign ministers, including those from Saudi Arabia, Estonia, Lithuania, and more. Several former prisoners of war. Nearby at the Vietnam Veteran's Memorial, McCain's wife Cindy laid a wreath in honor of those lost during the war, flanked by White House chief of staff John Kelly and Defense Secretary Jim Mattis. Sen. Maggie Hassan (D-NH): "I was glad to be with my fellow Senators at the National Cathedral to honor and celebrate John McCain’s life and legacy. John certainly made a deep impact on me – like he did so many others across the world." Sen. Ted Cruz (R-TX): "Beautiful rendition of Oh Danny Boy at ⁦@SenJohnMcCain⁩ funeral. A powerful remembrance of an American hero, who fought & bled for our Nation. The remarks by ⁦@MeghanMcCain were particularly powerful, showing a daughter’s love for her father. May he Rest In Peace." Sen. Heidi Heitkamp (D-ND): "It has been a privilege to call John my friend. 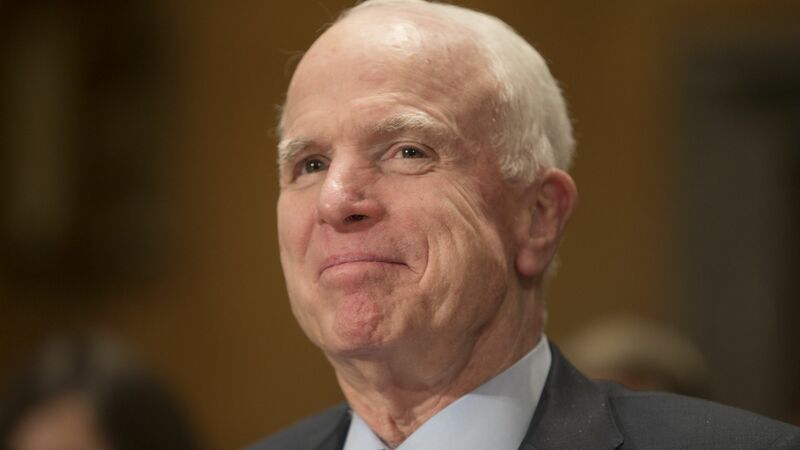 His legacy looms large in the U.S. Senate, around the country, & across the world." Sen. Elizabeth Warren (D-MA): "Our country is full of heavy hearts today as we say goodbye to John McCain. We share a profound sense of gratitude for the life John lived, and the legacy of service and unwavering commitment he’s left us to cherish."